A martial arts expert and Daimon High's current K-Fight champion. She seeks to learn the way of the sword. Slightly self-conscious due to her height and her samurai obsession. Highly Skilled in Kendo (only Tatsuya Shishikura the captain of the kendo team is able to beat her in formal kendo). 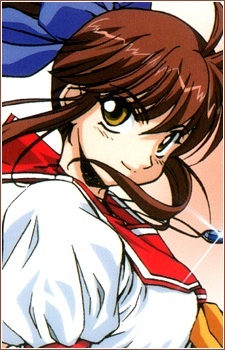 Her rival and crush is Shizuma Kusanagi, the "Red Monkey", though she is also in love with Tatsuya Shishikura, the Captain of the Kendo team she also helps out the drama club with the school plays.